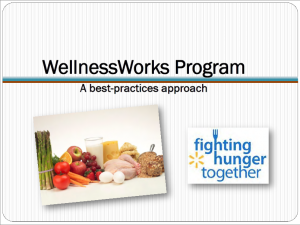 WellnessWorks is an innovative program developed by the CCWVa Central Region and conducted in conjunction with our 10 on-site food pantries. The program’s goal is to promote healthier life-styles among families and individuals requesting food. Several components accomplish this goal, including the provision of special nutritional food items, written information on specific health conditions and general wellness information. We also work with a number of community partners to sponsor special projects, like health fairs and various health screenings. Our experience in coordinating food pantries prompted our staff to reconsider the critical role food pantries and feeding programs play in public health, especially as they relate to at-risk families. 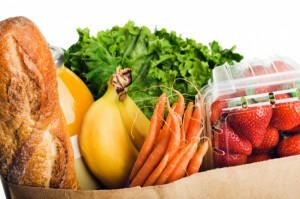 A food pantry must be a primary conduit of, not only specific foods and information for those with chronic conditions, but also general health and wellness information. We know that most of those requesting the pantry services have a limited awareness of the role diet and nutrition play in maintaining or improving their health status and their quality of life. 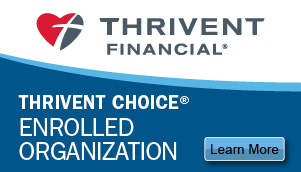 They often encounter challenges in accessing medical care and health/wellness information. Literacy issues and lack of knowledge of the right questions of health providers can be barriers to valuable information and awareness. Several national studies identify West Virginia as one of the nation’s most unhealthy populations. Obesity, diabetes, tobacco use and heart disease are too common in our state. A health and wellness screening for each family requesting food orders. 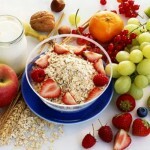 For those with chronic health conditions, we provide specific foods and written information specific to the condition. A monthly wellness flyer for each household. Encouragement and moral support for those desiring healthy choices. Patient education, special projects, identification of gaps in health-related service needs, etc. 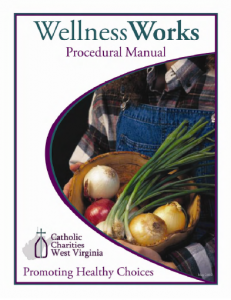 Call your local Catholic Charities office to see what is available in your area.